When I was growing up I thought the only kind of shower was one of those tub/shower combos. Step in the shower, pull the curtain, and flip the lever from faucet to shower and there you go! Shower time. However as everyone knows, there is an amazing array of shower styles and types of shower heads, not even getting into the steam showers, which we’ll review another day. 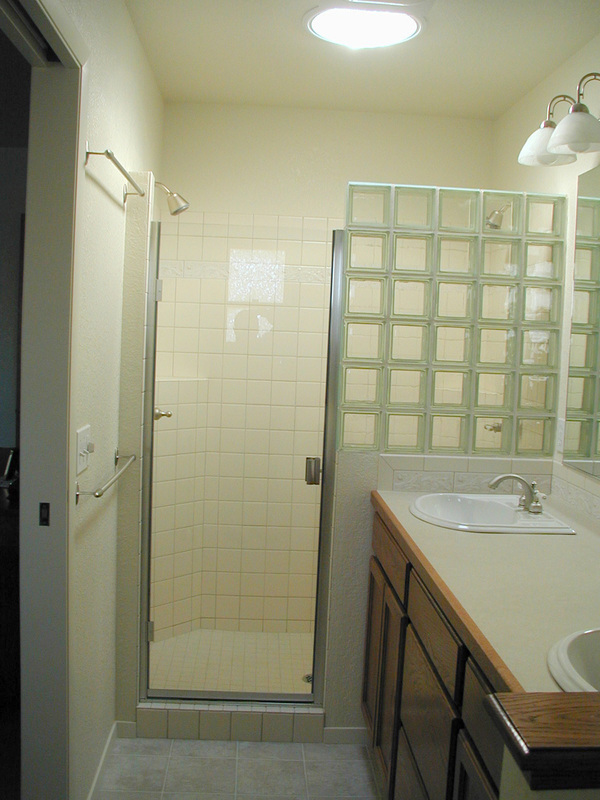 The shower doors can be glass or curtains. Higher end of course, are glass. Shower fixtures can be an almost endless variety of types, from a traditional fixed shower head (and even these vary greatly in shape and gpm flow) to hand held and include the shower with numerous shower sprays aimed at you in the shower! 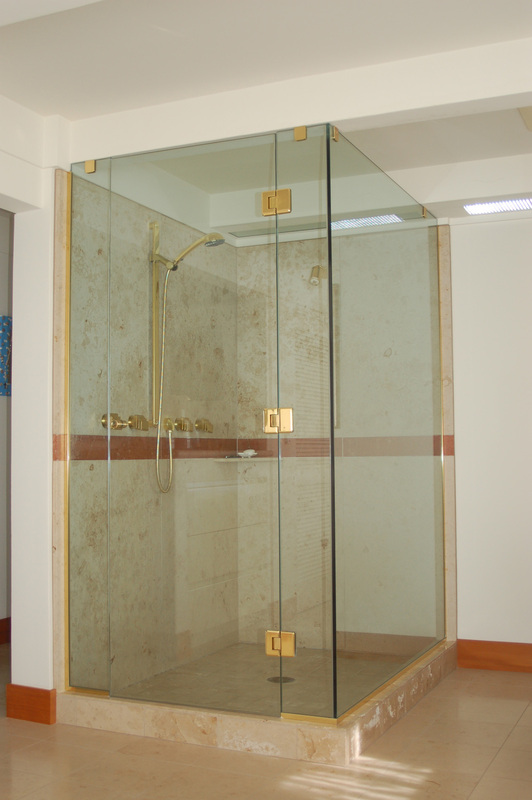 This last shower photo shows a creative use of glass blocks to provide a partial shower wall and privacy. 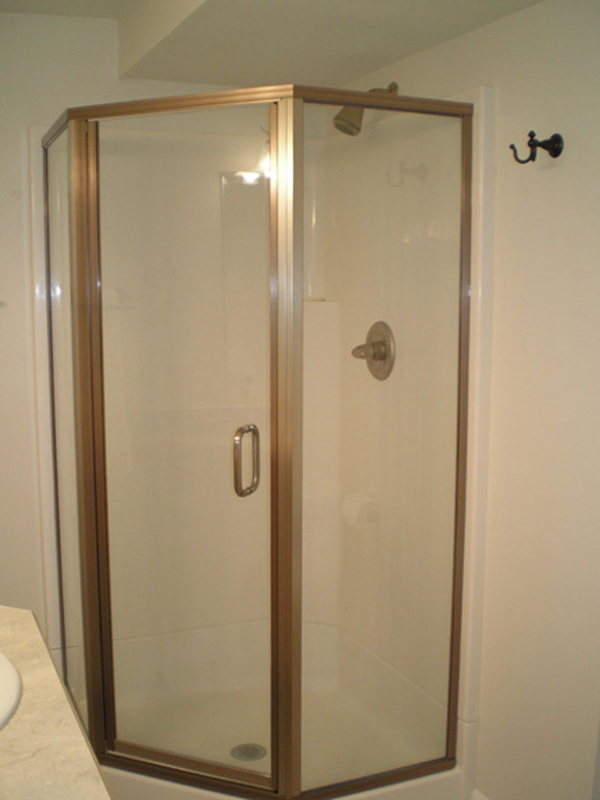 As I said, there is an endless variety of shower styles to select from in creating your personal shower.